I love old barns. I hardly remember the house I lived in from birth through third grade, but the barn is still vivid, as are all of the other barns I've explored over the years. Mark and I enjoyed the opportunity to visit Sarah's farm Saturday. 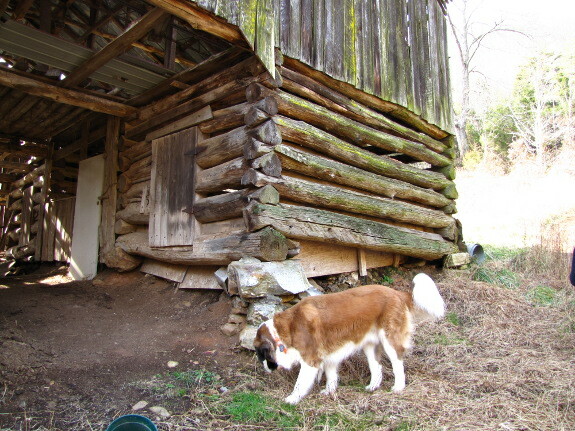 We had lots of fun hiking and hanging out, but most of my photos are of the barn. I think this must be the local style for livestock barns because Sarah's log barn is nearly identical to the one on my aunt-in-law's farm one county over. I was very jealous of the old manure still remaining in the stalls on Sarah's property. Sarah's corn crib looks more modern, with its wire hardware cloth inside, but it still has a very nice sense of style. 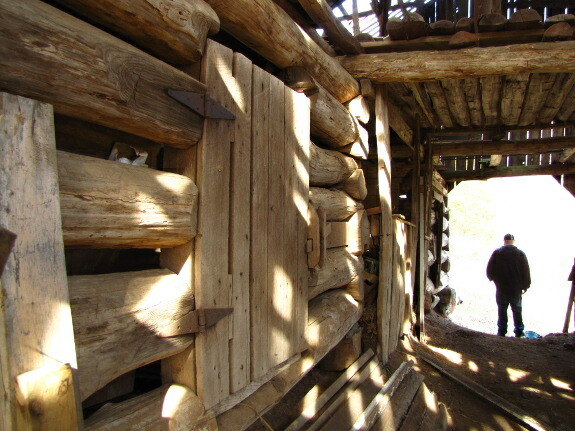 While researching my root cellar book, I learned that corn cribs and root cellars both are probably designs stolen from the Native Americans, then given a European twist. 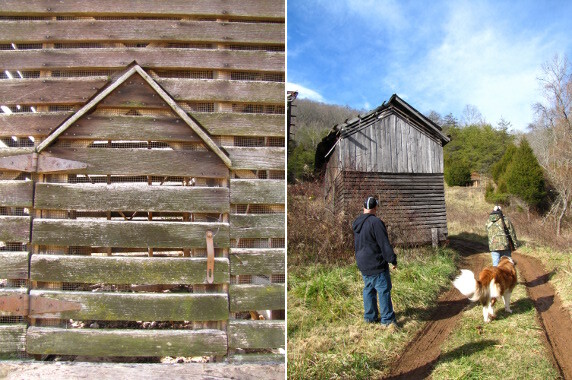 So perhaps structures like this have dotted the Appalachian landscape for thousands of years. Our chicken waterer is the POOP-free solution for modern chicken-keepers. 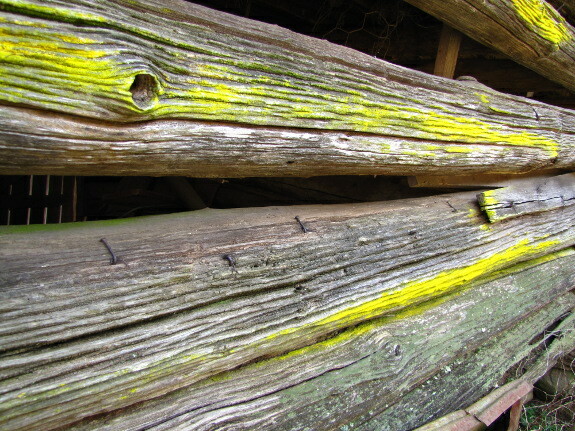 Remember how we used to climb way up the wall of the corn crib in the barn? Funny you don't remember the house though. The middle room with the coal stove and the tub; the kitchen with the B&W TV; bedroom with cracks around the door to spy santa thru; back porch with its pump house and the flat concrete roof of the root cellar; and the addition, that will never be finished in my mind, with its stacks of material, unframed windows and doors to crawl behind. One day I want to go back and refresh my memory. Very artistic and beautiful shots, Anna! I decided to put that manure to work yesterday and mixed it with some vermiculite to get my cold frame all ready for some mid-winter experimental seeding. Sarah --- I was very impressed by your seedlings under the lights too! I almost posted my photos of them, but they didn't fit the theme of the post. I'll look forward to hearing how round two of experiments go. Reminds me of my grandparents' barn and outbuildings in Lee Co.